Responsive Website Design & Development. In a digital savvy world having an effective website presence can be a very powerful tool especially for businesses looking to acquire leads online. 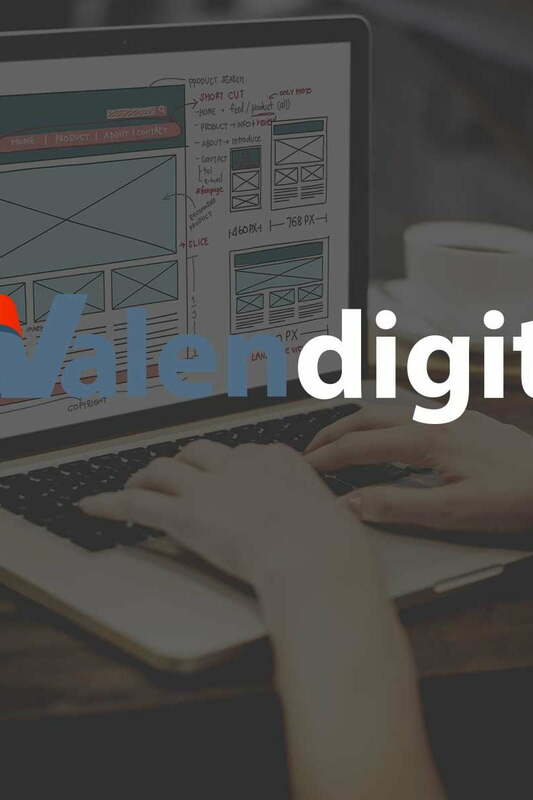 At Valen digital we are experts in responsive website design and ecommerce development with a specific focus on ensuring your web development is SEO optimised from the ground up. Web Development that’s Responsive Beautiful Web Designs, Content Rich, UX & SEO Focused. The web developers at Valen digital love to create beautiful and creative websites that work for businesses. We like to create visually appealing responsive websites but with a focus on creating sites that can generate leads and new business from your online presence. We have 10 years of combined experience in designing stunning looking websites that can deliver the results your business needs. Our developers code using HTML5 in mind which allows for clean and optimised web code. This allows us to not only use visually appealing images but also rich content like videos and social media to convey your businesses core message online. This will also send strong signals to the search engines that its SEO friendly. You wouldn’t build a house starting from the roof down, so why do that with your website build? HTML5 is the new coding standard. It allows us to develop feature rich websites which are creative and appealing yet still easy for the search engines to consume. We love to develop websites using WordPress. Its the most commonly used CMS system with over 24% of websites on the internet using it. They can be simple or as complex as you require. Our developers can create custom CMS systems for a unique website or back-end application. We use PHP to create a tailored bespoke solution to meets your business requirements. WordPress WooCommerce plugin is brilliant for building a simple new ecommerce website or to bolt onto an existing WordPress site. It provides all the features that you may need to sell your products or services online. Are you looking for a custom Android APP? We can develop Android based applications that can be part of an existing website or a stand alone solution. A fully tailored Android APP service. Are you selling online in a marketplace like Amazon or Ebay? Do you need a custom shop front? Stand out from the crowd, our developers can create a bespoke shop front for your Ebay or Amazon store. Having a responsive website is not a matter of choice but a ‘must have’. Google’s search engine (and others) now prefer responsive websites to non-responsive. What does this mean? Well to gain any love from the search engines your website needs to be responsive. More and more users are using their mobile devices to browse the web. A responsive website can adapt to any screen size and show case your product or services as they should be seen. Valen digital developers code from the ground up with responsive in mind. That way we can develop sites that are visually appealing on all screen sizes and not just on a desktop. We design websites with SEO in mind. Our code is clean and optimised to send all the right signals to the search engines. They can consume and read your website easier and find its true relevance. Our website designs also allow for quick page loads without compromising functionality and features. This gives your website the best start in its relationship with the search engines. After all what use is it if your website can’t be found by prospective customers? Our web designers develop sites with elements of user experience that allow for higher click through ratios and conversions. We craft friendly UX/UI website designs to provide seamless website browsing for your visitors. We understand all the elements via in depth research and put those juicy lessons into practice for your website development. This leads to better engagement and user interaction for sales and customer retention.